Switzerland’s public price watchdog chief, Stefan Meierhans, also know as “Mr Price”, has taken aim at high Swiss drug prices. 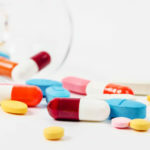 A report published last week shows prices of generic drugs are nearly 2.4 times more expensive in Switzerland compared to the average price across 15 european countries. 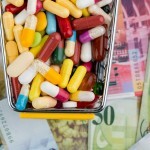 Generic drugs in the Netherlands cost 8% of what they cost in Switzerland. Anyone arriving in Switzerland from the UK will be shocked at the price of basic items such as ibuprofen pills. In the UK a generic 200mg ibuprofen tablet costs around 2 pennies, less than 3 cents. In Switzerland, the same pill can cost as much as 23 cents. Stefan Meierhans told RTS he plans to take aim at drug prices, one of the reasons Swiss health costs have risen so much. 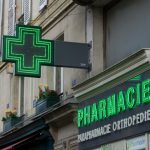 This year he plans to introduce reimbursement for drugs bought abroad, a mechanism that allows health insurers to make claims against abusive pricing, and an annual price check on all medicines. A spokesperson for the Federal Office of Public Health is concerned about the resource required to check drug prices. She told RTS it would require a tripling of resource. 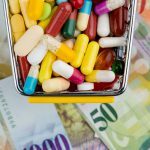 Medicines make up 21% of Switzerland’s health spending, so in theory, bringing prices in line with the rest of Europe could bring substantial savings. On the other hand, if past price increases continue unabated, costs could double by 2030.